These days, it’s always fashion week somewhere. And sometimes the greatest sartorial inspiration can come from looking outside of the box. Or, rather, outside of the four main fashion cities—New York, London, Paris and Milan. Now, all over the world, a wealth of international fashion weeks are giving space to younger, newer and arguably fresher designers that aren’t big enough or geographically close enough to show at one of the big four. And each has a significant point of difference. Take Mercedes Benz Fashion Week Australia for example, which showcases the best of resort wear instead of the usual spring/summer and autumn/winter collections. Resort is cheaper and sticks around in stores longer than seasonal items—attention should be paid, especially if you’re on the hunt for that perfect vacation wardrobe. For exciting yet accessible street style inspiration, look to Copenhagen Fashion Week, where the schedule includes Ganni and Cecilie Bahnsen. For directional designers you’ve never heard of, there’s Tbilisi Fashion Week in Georgia, where Balenciaga and Vetements’ Demna Gvasalia hails from. Enough said. Keep scrolling for our definitive guide to the best fashion weeks from around the globe. The Fashion Crowd: Tbilisi may be a smaller event, but it's already pulling in big crowds. Find everyone here, from Dana Hourani to Nino Elaive. Photographers Adam Katz Sinding of Le21Eme and Acielle of Style du Monde are regularly beating the Tbilisi pavements. 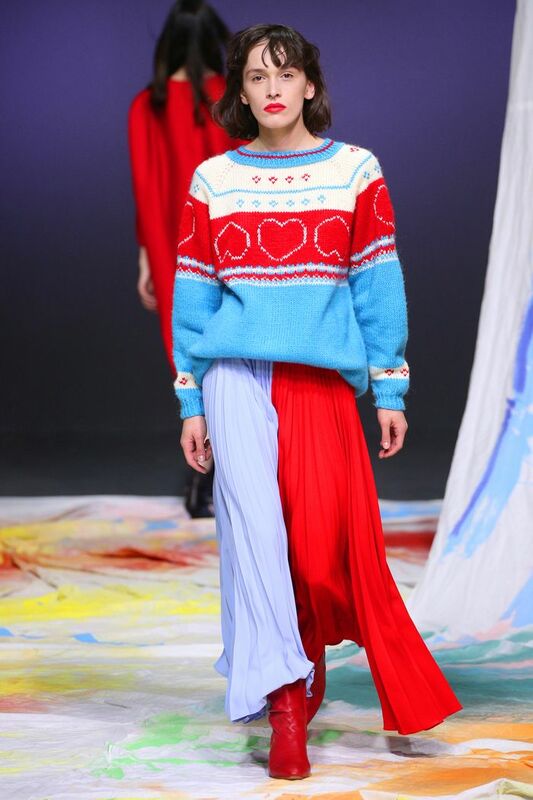 The Vibe: If Tbilisi Fashion Week is anything, it's colourful. While the runways are a go-to for oversized proportions, on the streets, see sunny floral dresses and lots of blazers with exaggerated silhouettes, often worn together with sneakers. Very Balenciaga-esque. The Vibe: In Sydney, the mood is very much out-of-office. Think glorious summer maxi dresses in sorbet pastels and whisper-thin cottons. Prints also feature heavily. Meanwhile, on the streets, gauzy midi dresses were styled with chunky boots, and menswear-inspired tailoring was made feminine with strappy sandals. The Vibe: Scandinavia is the home of everything chic, but the runways are far more colourful than one might expect. Think crayola-coloured utilitarian separates and whimsical candyfloss dresses. On the streets, and printed dresses abound, as well as simple jean-and-fun-sweater combos. Minimalist maximalism at its finest. The Fashion Crowd: Rather than have a mega fashion crowd in attendance, Seoul is characterised by its street style. Look to accounts like photographer Lee Jaedoo's for the most fashionable looks. The Vibe: Nowhere does cool quite like Seoul. South Korea's pulsing city is at the centre of everything streetwear. Logos are big news on both the runways and the street—and streetwear is often mixed with stilettos for that perfect symbiosis between the high and the low. The Fashion Crowd: A whole roster of cool Russian influencers, including Katu Mikheicheva and Liza Gysevskaya. Look to them for ultimate outfit inspo. The Vibe: Russian fashion week, which takes place in Moscow, is all about the streetwear. On the runway, think zip-up hoodies, plastic macs and Off-White–style branding. The streets offer much of the same: puffa jackets, tracksuit trousers and beanies reign supreme. The Vibe: Shanghai's designers embrace their cultural heritage while adding a contemporary twist: Think distilled Mandarin collars and Mao-style suits. A huge focus is also place on craft and textiles. On the streets, meanwhile, things are typically eccentric: velvet pyjama suits and sporty streetwear in neon colours. The Fashion Crowd: Brazilian influencers like Thassia Naves are regularly in attendance. The Vibe: Every day in Brazil is another excuse for a party. As such, the fashions are as bright and breezy as the enthusiasm the culture is renowned for. Think gauzy resortwear dresses and bright, tropical prints.